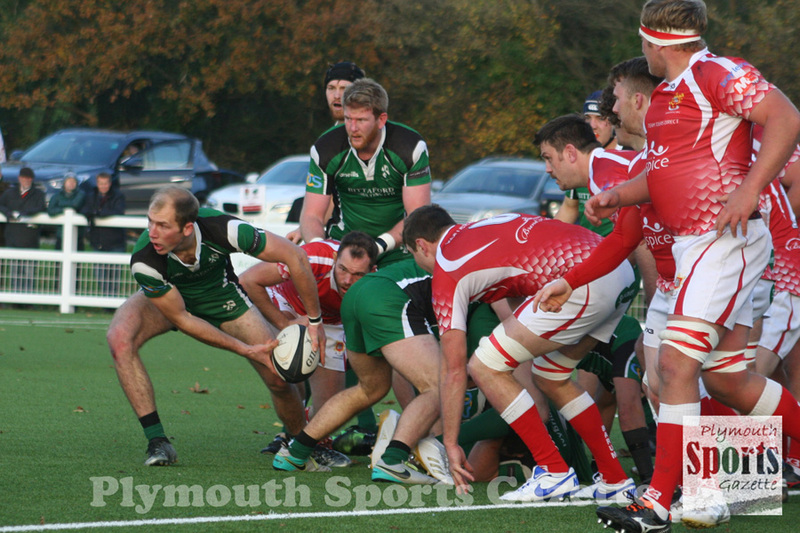 IVYBRIDGE are hoping this weekend is the one where they finally get their first win of 2019. The third-placed Bridgers head to ninth-placed Weston-super-Mare in the South West Premier aiming to end a run of three consecutive defeats. They did finish last week’s match at Exmouth strongly and scored two late tries to pick up a try-scoring bonus point in a 43-32 defeat and player-coach Jamie Tripcony hopes they can build on that. But Tripcony knows a trip to Weston-super-Mare will be tricky. Robin Luscombe is still out with a fractured ankle and Adam Northcott with a shoulder injury. They have been joined on the sidelines by George Wilson, Tom Scoles and Wes Vermingle, who picked up an injury at Devon Under-20 training on Wednesday night. DEVONPORT Services will be looking to boost their hopes of a top six finish on their debut season in South West One and book a place in the Devon Senior Shield final on Saturday when they travel to Cullompton. This year’s Devon cup competitions for level eight and above have been combined with league games. Results from the matches are used to form a Devon league table with the top two sides at the end of the season reaching the cup final. 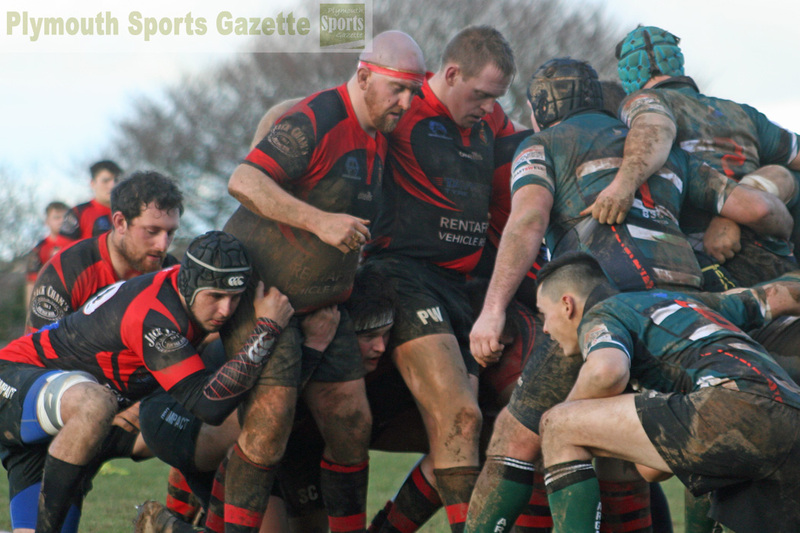 Services and Okehampton will both be confirmed as finalists in the Senior Shield competition if Devonport beat struggling Cullompton on Saturday. Cullompton sit second-from-bottom in the South West One table with just one win to their name this season. Services, in contrast, are sixth with 10 victories from their 17 matches so far. But Devonport are wary of Cullompton, who have picked up form since the Christmas break. They only lost 8-5 against Thornbury last week and 33-26 away at Hornets the week before. “If you look where they (Cullompton) are in the table that does not match their form recently,” said Services coach Mike Lewis. “They have really picked up – just in time to face us! “We know we can’t take them lightly at all. 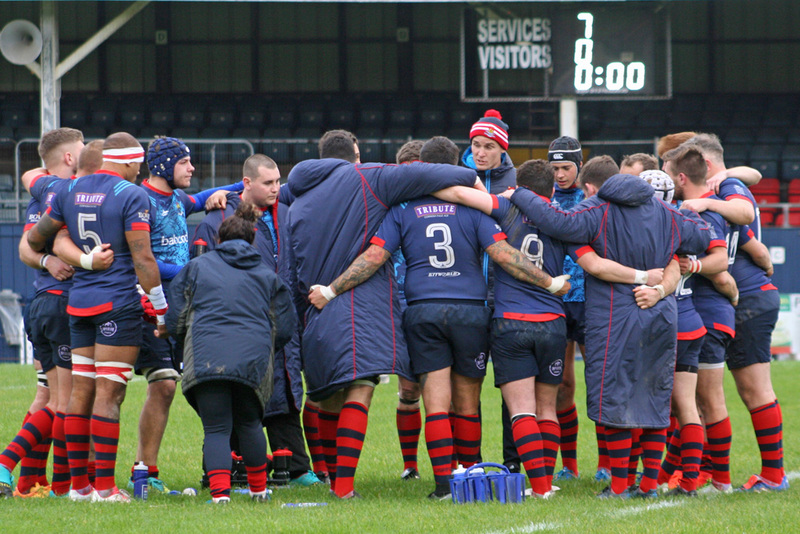 “It is a double-header as it counts towards the Devon Cup. We know if we win this one we are in a Devon cup final against Okehampton. “If we get a five-point win and also do the same against Okehampton and they drop a bonus point somewhere then we could have a home tie. Even though that is a long shot, it is an opportunity for the club to try and get a home Devon cup final. “Last year we had to go away in the play-off final, but had that been at home we would have had a sell-out crowd and everyone would have enjoyed it. “We really want to try and push the boundaries to try and get that home final. “But we know this weekend won’t be an easy game. Thornbury, who beat us quite comfortably, went down there last week and only scrapped past Cullompton by three points. Services are unable to call on winger Matt Neyle-Opie as he is away, while Richard Goffin, Callum Perkins, Dan Oner and new signing Bentley Halpin are all injured. Perkins and Oner picked up injuries playing in Wednesday’s Services v RN President’s XV match at the Rectory, while former Clifton player Halpin turned his ankle on his debut for the club and could be out for three or four weeks. In Western Counties West, Saltash will be hoping to cause a bit of an upset and make it three away wins in a row when they travel to fourth-placed Wellington. 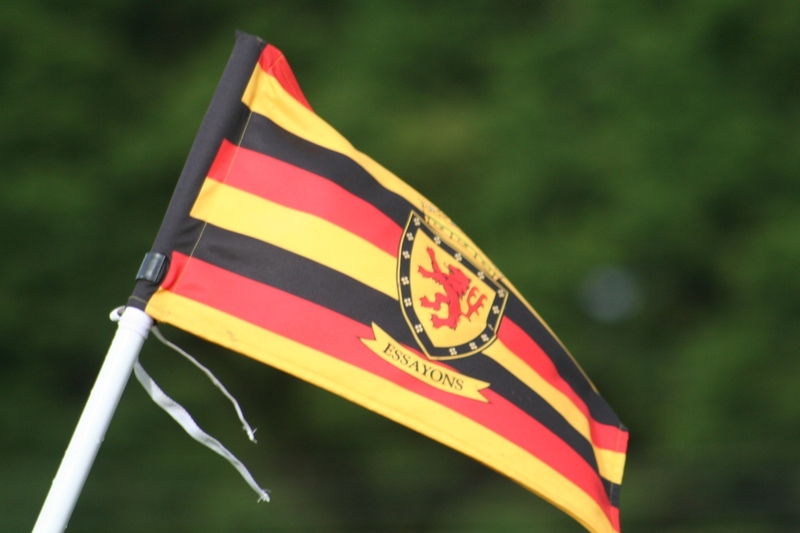 Saltash, in 10th, may have lost their last two home matches, including a narrow 10-6 defeat against Wadebridge last weekend, but they won their last two on the road, triumphing at Truro and Kingsbridge. They know it will be tough against a Wellington side who have only lost three times this season since their promotion and only one of those – a narrow 26-23 reverse to leaders Sidmouth – have come at their home. The Ashes will know what to expect from the Somerset side having played them twice last season in the Cornwall/Devon League. Wellington did win 26-6 when the sides met earlier this season at Moorlands Lane, but at the time Saltash were still looking for their first victory at level six. However, they have since claimed six wins to move up to 10th. Although they have moved up the standings, the Ashes have still found it hard to score points – they are the second lowest scorers in the league and only have two try-scoring bonus points – and they will know they will need to be at the clinical best this Saturday as Wellington have the league’s meanest defence. Wellington, with Cornwall coach Graham Dawe overseeing their coaching, also know where the opposition try line is – picking up an impressive 10 try-scoring bonus points from 15 games. HIGH-flying Plymstock Albion Oaks will head to Combination rivals Tavistock with two new faces in their squad. 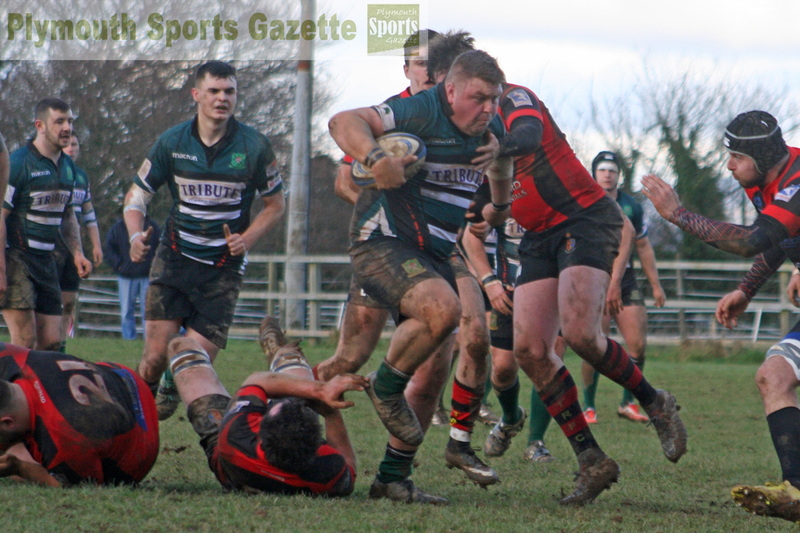 Plymouth Argaum’s all-action back-row forward Joe Walker has followed Ivybridge back Hayden Coles in signing Oaks and both players will make their debuts at Sandy Park. 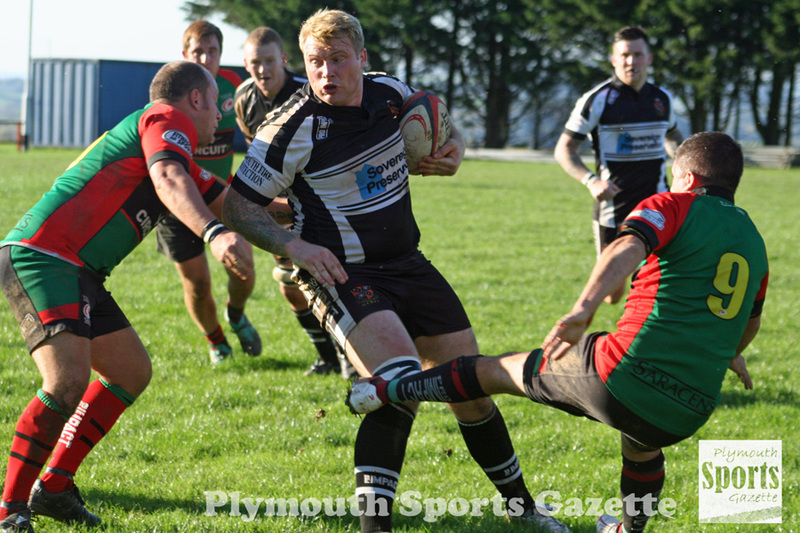 Walker has been one of Argaum’s star players since joining them last season from Ivybridge and Oaks’ player-coach Aiden Taylor is delighted he has joined Plymstock, who sit in the top four with just two defeats to their name. It could be a big week for Oaks as if they win at Tavistock they could leapfrog above either leaders Bude or second-placed Honiton, who play each other on Saturday. At the moment just three points separate leaders Bude from fourth-placed Oaks, with Penryn in third. Oaks, though, know they cannot afford to take Tavistock lightly with the Moorlanders winning their last two matches. “We just have to go there with the right attitude and mind-set, play our rugby,” said Taylor, who added that Carl Parsons was particularly looking forward to this weekend’s game having joined Oaks from Tavistock in the summer. Fellow former Tavvy player Ben Hadfield, though, is unavailable for Plymstock this weekend. Ninth-placed Tavistock would love to cause an upset and make it three wins in a row. “Oaks are flying high and they give us a tanking away but we were injury-hit,” said Tavistock’s Hammy Kerswill. “We beat them at home last year but a lot has changed since then. “But we are off the back of two good wins and momentum is high so anything is possible. “Conditions will be a huge factor, especially up front. Tavistock’s pack will remain very similar to the last couple of weeks, but Joe Hair is back and he will come in for Phil Wilson, who picked up a shoulder injury last week, while in the back Jack Easton is away. 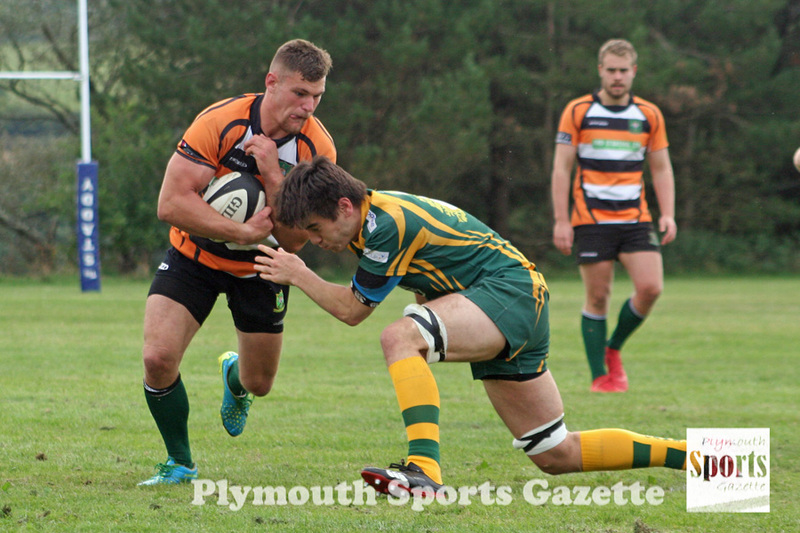 Plymouth Argaum desperately need to re-find their winning form after dropping into the Cornwall/Devon League relegation zone last Saturday after losing 17-7 at home to Tavistock. That was their eighth loss in nine games and leaves them two points from safety. This weekend they face a tricky trip to eighth-placed Topsham, who have proved a little bit inconsistent on their return to level eight. On their day, however, their speedy backs have caused some major problems for sides. Argaum, though, did beat them 12-5 at Bickleigh Down in October and the Roborough-based club are hoping for another performance like that. But, yet again, Argaum are struggling to get a team out for an away trip, having had 38 players featuring in two home matches last Saturday. Argaum, though, should have Jack Franklin available again this weekend for the trip to Bonfire Field. Quarterman is hoping players will try and pull out all the stops in the final nine games to keep them up. “It is up to the players what happens to us,” he said. “We know there are still plenty of games where we can pick up points. The lads just need to front up and also try and be available more. Quarterman admitted it was disappointing to lose Joe Walker at such a crucial time of the season and to a team in the same league. Argaum will be hoping Liskeard-Looe can do them a favour this weekend and beat second-from-bottom Hayle away. Fourth-from-bottom side Lanner also have a tough game this weekend against promotion-chasing Penryn, so Argaum know if they could get a win at Topsham it could really boost their hopes of staying up. THE eye-catching match in Devon One on Saturday comes at Weston Mill where Old Techs host their nearest neighbours Tamar Saracens in the ‘A38 Derby’. The two teams have had some fierce battles over the year, including earlier this season when Sarries won 17-6 at the Parkway, despite having four players sin-binned after withstanding intense Techs pressure. Saturday’s match could be crucial in deciding who finishes as the top Plymouth side in the league. Sarries are currently fifth after three consecutive wins and a walkover, but Techs are just one place and five points behind with a game in hand. Techs were without a match last weekend which gave them the opportunity to watch Sarries beat OPMs 14-3. Sarries are unbeaten in 2019, but they know Techs will be keen to end their run and make up for their disappointing loss at the Parkway earlier in the season. “This is a prime game for Techs to say ‘let’s stop them in their tracks’,” said Saracens player Marc Cioffi. OPMs have lost their last three matches and they are keen to put that right on Saturday when they host fellow inconsistent side Torrington at King George V Playing Fields. The teams sit eighth and ninth in the league with just two points separating them. OPMs are keen to prove a point to Torrington after losing 50-22 away in October. Torrington, though, have not travelled well this season and OPMs hope they can take advantage of that and show what they are capable of. “We have the ability to be higher up the table,” said Garratt. In the Devon Merit Table, Plympton Victoria’s recent revival will be put to the test when they travel to unbeaten Division Two South & West leaders Salcombe. Plym Vic have beaten Kingsbridge II and Tavistock II this month, but expect Salcombe to be a tougher task. “This is going to be a real test of any improvement,” said Chris Hunt. “They are top of the league and consistent. Elsewhere, DHSOB are due to host Plymouth Argaum II, but their visitors are struggling to get a team together for the game at Stonehouse Creek.